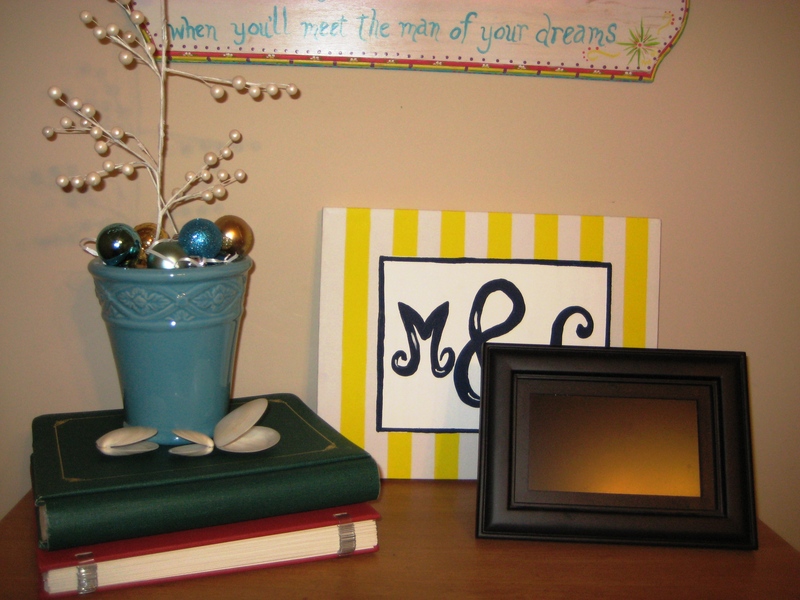 Our halls are officially decked with Holiday décor. 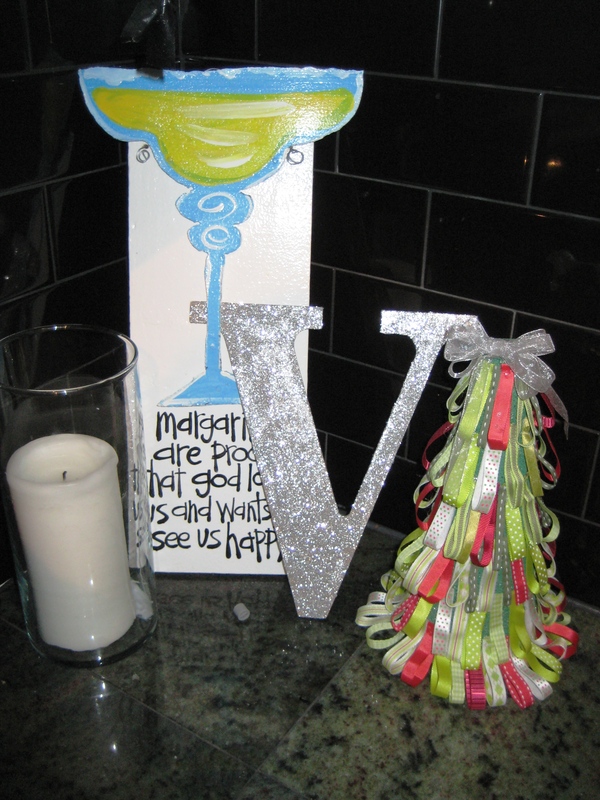 In addition to our Christmas Tree and special ornaments we have a couple other decorations to share with you. I think our house is decorated just the right amount for my Christmas spirit, but you can be the judge of it. 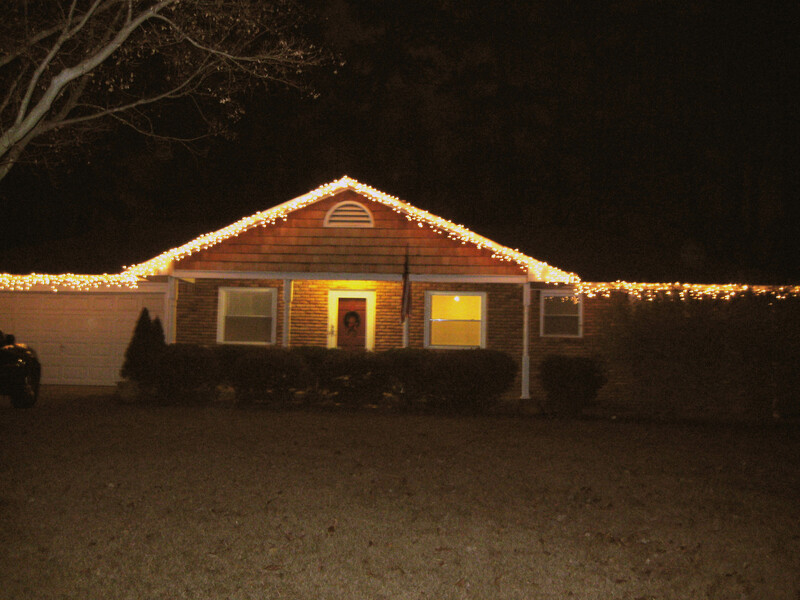 Conner worked really hard on getting the lights hung on our house. 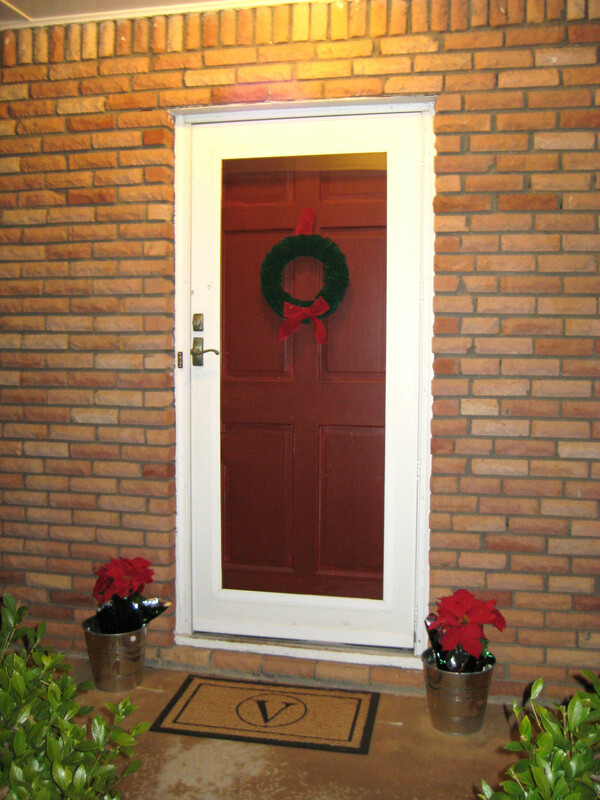 I also worked up a little wreath for our front door along with our poinsettias. That doormat was a Pinterest inspired creation. 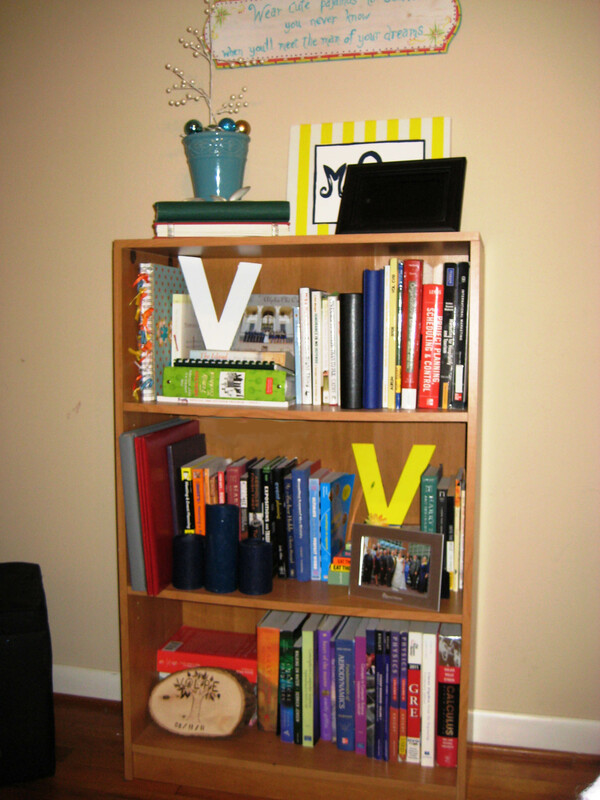 It was a $5.00 mat from the store that I just painted the V and design. Our kitchen holiday décor include this festive corner with my ribbon Christmas Tree I made last year along with a little glitter. Also, above our sink we saved a few of the branches from our Christmas tree and placed them in various vases around the house. 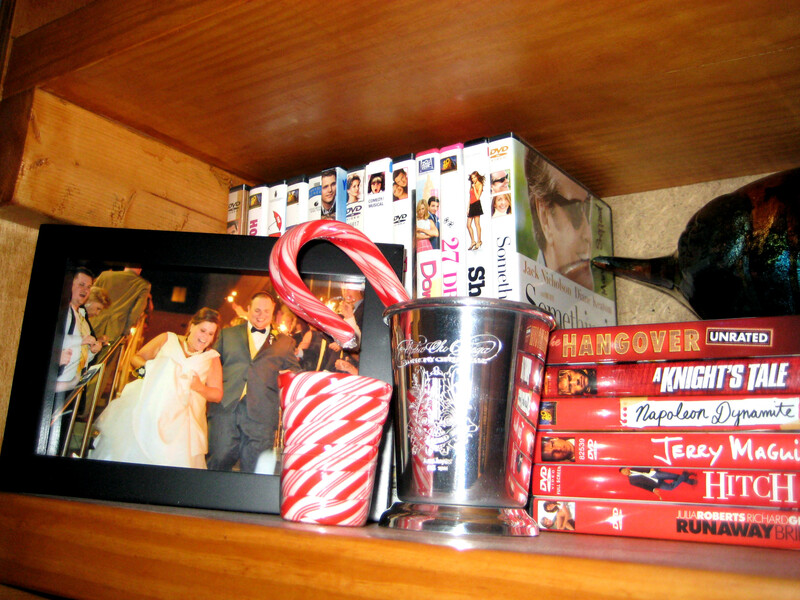 For our bookshelf we arranged our Christmas Colored Scrapbooks and mixed in some fun colors with the Charlie Brown-like pearl vase. Our advent wreath that my mom made me using our old Christmas Tree sits on our table for Sunday night dinners. 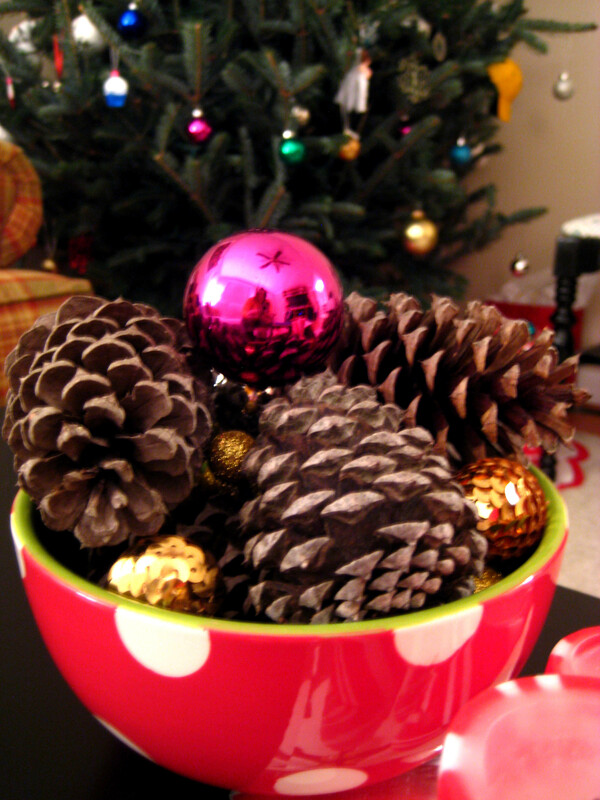 As for our living room we have some festive pine cones and a stack of our holiday movies for easy viewing. We also have our Chocolate Countdown to Christmas Calendar. Yes my DVD’s are color coded. Yes Conner makes fun of me. The final stop on our Christmas Decor House Tour is in the kitchen. Our kitchen holiday décor include this festive corner with my ribbon Christmas Tree I made last year along with a little glitter. 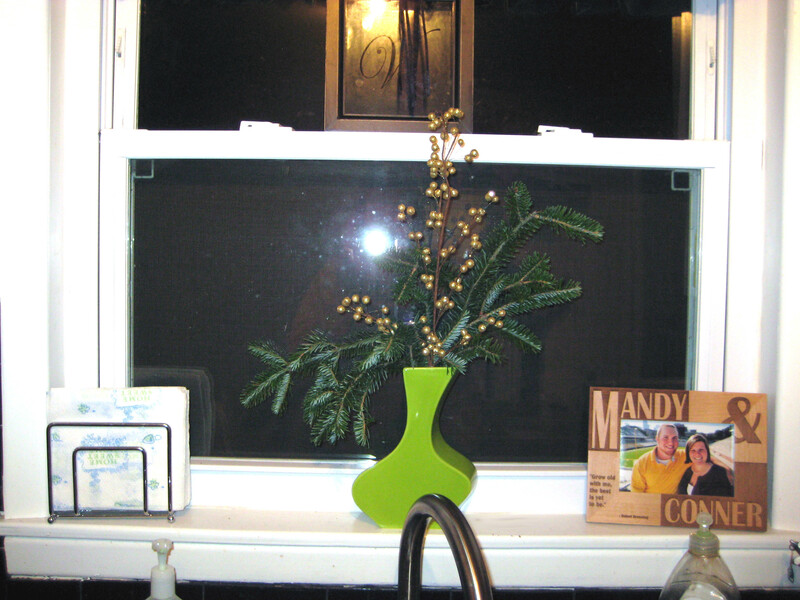 Also, above our sink we saved a few of the branches from our Christmas tree and placed them in various vases around the house. I hope you enjoyed our decor! 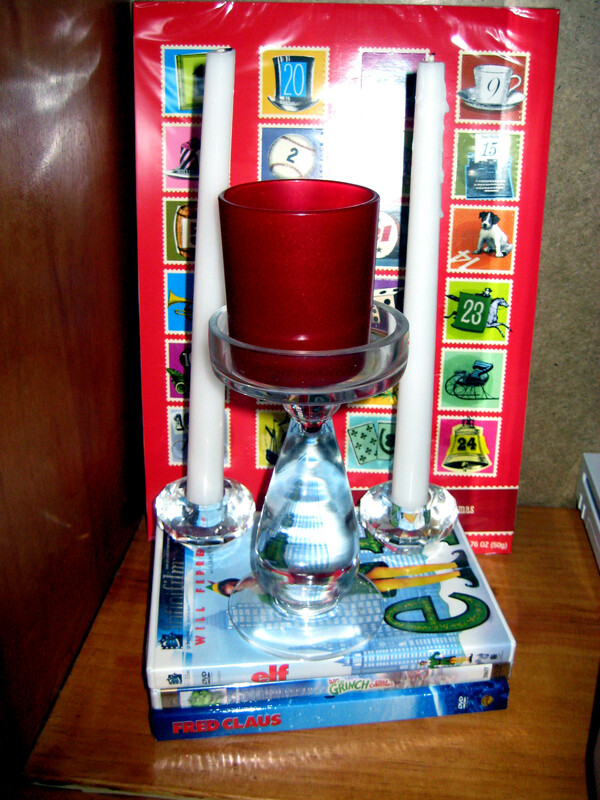 This entry was posted in Uncategorized and tagged Christmas, decorations, Holiday. Bookmark the permalink. Lovely Christmas decorations. 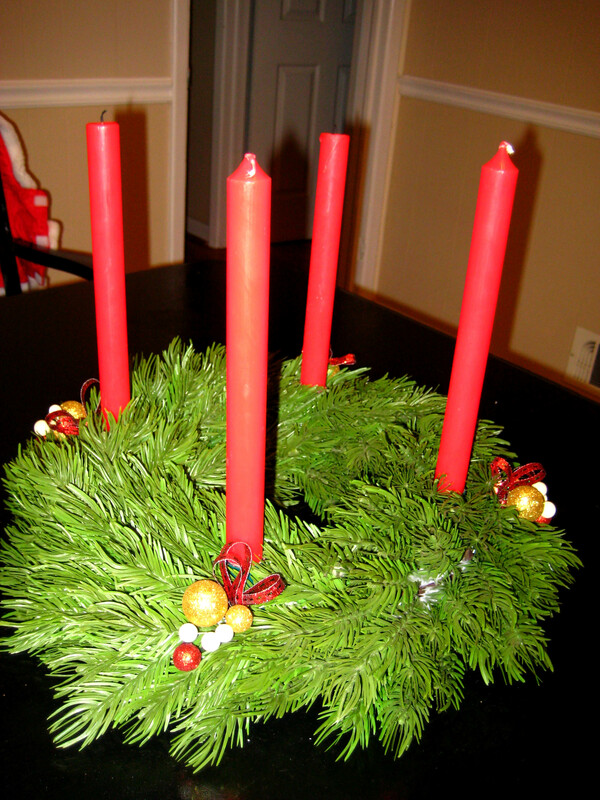 Your pretty advent wreath reminds me of our time in Germany at Christmas.